Many people know about Jordanelle Reservoir, but not many people know that if you stay on I-80 for a few more minutes, you will run come upon Rockport State Park. I have many memories of Rockport because my Grandma grew up there before Rockport City was demolished and the lake was built. Rockport is located East of Heber and Park City in Summit County. With campsites perfect for family reunions or small getaways, Rockport is a great vacation for those that like to camp. Approximately 45 miles east of Salt Lake City. Take exit 155 from I-80 and travel five miles southeast on SR 32. Rockport has a very interesting history. You can view old photos and read about many of the original people that settled there on the website "Rockport Originals." That website has many old pictures taken before lake was built. When the first settlers arrive in the area around 1860, it was still Indian Territory. They built a rock fort to protect their little village, then called "Enoch City", from outside intruders, and renamed their little village "RockFort". In later years when the area had settled down, there was no longer a need for the protection of the fort, and the little town received its permanent name of Rockport. For many years the population of Rockport stayed over 100, but it finally declined in the 1940s. The post office and school were closed, but there were still twenty-seven families living here in the 1950s when the government decided to construct the Wanship Dam. Despite the protests of these families and the majority of Summit County voters in a 1952 special election, the government purchased the entire valley in preparation for the construction of the dam. The lake it created, Rockport Reservoir, flooded the town. When the water level is low, old foundations and streets can sometimes be seen, but the only remnant of Rockport above the water is its little cemetery, sitting on a ridge above the lake. The old Rockport School can now be seen at Lagoon in Davis County, in their Pioneer Village section. Other buildings moved from Rockport to Pioneer Village include the Rockport CoOp and the Wanship Cabin. My family settled Rockport when my Great Grandma, Mary Andersen, met and married Frank Siddoway, the nephew of Isabelle Siddoway Armstrong. Isabelle was the wife of Francis Armstrong, the mayor of Salt Lake City in the early years. He built The Armstrong Mansion, located at 700 E and 100 S, where Mary Andersen worked as a maid. This is where she met Frank Siddoway. She had just traveled to the United States from Denmark. You can take advantage of visiting all the Utah State Parks by purchasing the yearly Utah State Parks Pass. See all of them for one low price! The old Rockport Church is a historical site that you want to make sure you see. It is also available to book for weddings and other functions. The Old Church was originally built in 1892 and was located above the dam along the Weber River. 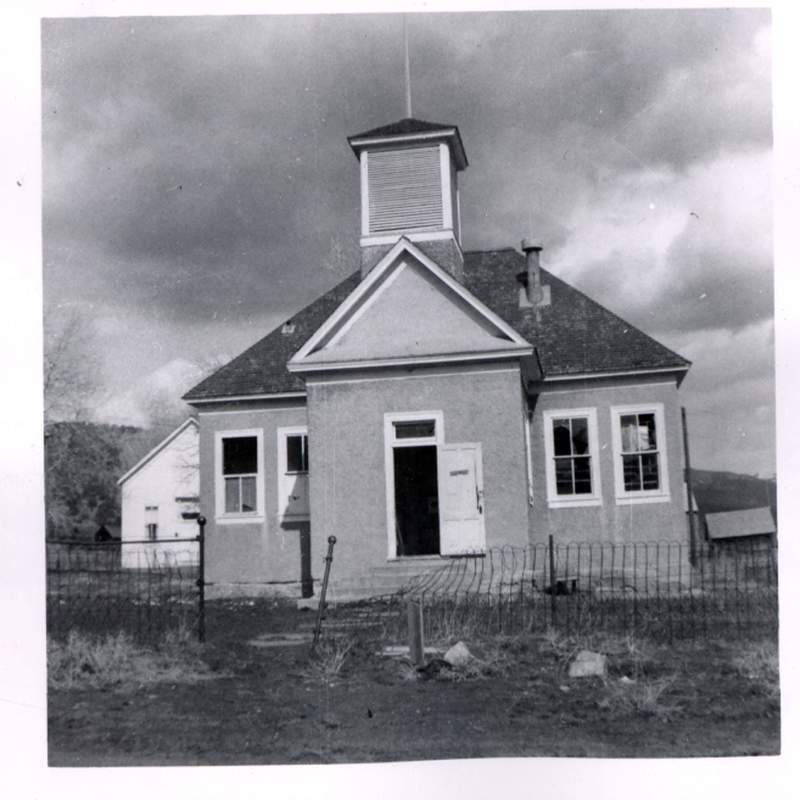 When the dam was completed in 1956 and the Weber River started to back up to create Rockport Reservoir, the Old Church was relocated to its present location. The building sat vacant for many years and fell into disrepair. In 2005, restoration began and the Old Church has once again come to life. The Old Church is on the Summit County Historical Registry. The building is the perfect place for weddings, dances, or other special events. The building has heat, lights, and numerous period style benches that can be arranged in a variety of ways. Part of the old road that used to lead to the town of Rockport can still be seen as you drive into Rockport State Park. Notice the dusty old road overgrown with weeds that has since been blocked off. There is usually a set of dumpsters in front of the entrance to the old road. Stop for a minute, look down the road, and imagine children walking to school down that road that now leads into the lake. My grandma used to tell us stories about walking down that road when she was a little girl to get to school. The Spring Chicken Inn has recently closed, but was open for many years and was known across the entire county as "the best chicken dinners around"! My grandma's cousin, Keith Siddoway, used to own it. When my grandpa was serving in the navy, he met a man in California that had traveled through the area. Of all the sites he saw, he could not stop talking about "that wonderful cafe that served him the best chicken dinner he had ever tasted!" You can still drive past this historic landmark, and imagine it in its better years. Wanship Cemetery is another historic place you will want to check out, and maybe even bring some flowers to place on a few graves. In the top right corner of the cemetery is the grave of "The Old Dr." that practiced and saved many lives years ago throughout Summit County. My Great-Grandpa, Frank Siddoway, had severe pneumonia and says that he owes his life to "The Old Dr." Until the day he died, he would place flowers on the Dr's grave every Memorial Day. My grandma has since carried on that tradition. You can also find the grave of Nancy Siddoway, my Great-Aunt, and one of my favorite people to have ever lived in this world. You can find Nancy Siddoway in the 2007 Guinness World Record book for the oldest person with Downs Syndrome. Her grave is more towards the front entrance to the cemetery. 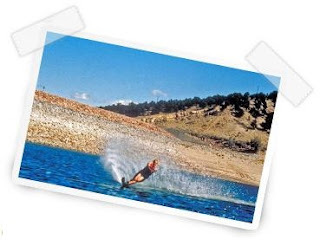 Watersports and Fishing: Rockport Reservoir has beaches and places for wading. You will want to bring your inflatable raft, lifejackets, or boat if you have one. Don't forget your fishing poles, because the Weber River has been known to produce some good-size fish! The nationally known Oakley Rodeo is a popular tourist attraction for the area. Held every year as a 4th of July celebration, you are going to want to get your tickets early. This rodeo always sells out fast! The Annual Dam Jam is a huge event at Rockport State Park, and one you are definitely going to want to check out! Held every year on the second weekend in August, this Bluegrass festival is one that people come from miles around to attend. You can camp the whole weekend, or just come for the day. Junior Ranger Program: Rockport State Park offers a Junior Ranger program at the park. While the program is aimed at children six to 12, everyone is welcome. Please check with a park ranger upon your arrival at the park. If you are a interested in history, Summit County has many historical places. You can find them on the National Registry Of Historic Places In Summit County. Small town close to Rockport that are also worth checking out are: Oakley, Wanship, Kamas, Woodland, Wallsberg (also settled by my ancestors on the other side of my family!). For more family vacation ideas, visit Enjoy Utah! 's Family Vacation Series page. WOW you just brought back some memories for me. Though not as many as you have I'm sure. But that white church (before remodel) is right next to where we camped every single year for a family reunion. I have so so many fond memories of Rockport Resevoir. I never knew it was a town. Thank you for all of this information. That is so cool Amanda! Yes, Edna is my grandma, and we just ADORED Nancy! :) What a small world!